Pain in the mouth area comes in many forms for kids – From teething to wobbly teeth. From mouth ulcers to scratches on the roof of their mouth. From a burnt tongue to a swollen bitten inside cheek. Kids have a host of root causes for mouth pain even before dental issues, sickness or accidents (like falling and chipping a tooth) are even accounted for. Sore throats, tonsilitis, reflux and/or congested nasal passages can also interrupt normal use of their mouth and cause children pain. Pain is a major trigger for changes in behaviour and behaviour around food is no exception. 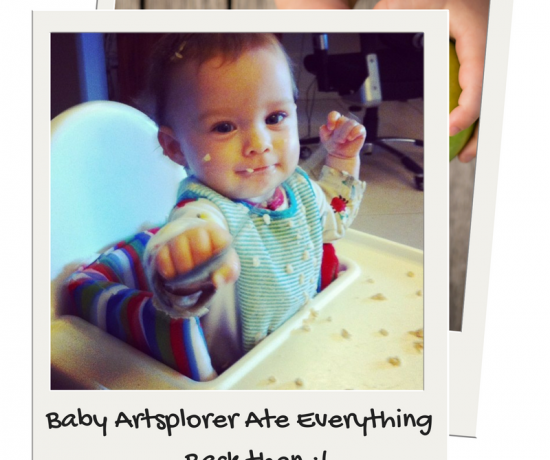 Anecdotally, teething is often reported to me as being the onset of fussy eating behaviour leading to ongoing mealtime issues with children. Sometimes fussy eating originates because of avoiding exacerbating pain in the mouth. 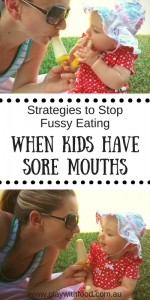 Just like when adults have tooth ache and avoid steak (a hard mechanical that requires lots of chewing) or they avoid using one whole side of their mouth (a skill that requires VERY well developed oral motor control that often kids don’t have). So, having some understanding of why they are avoiding particular foods is important. Where is the pain for them? When is it worse? Morning / Afternoon / Night / Constantly / or Every Couple of Days? What foods are they avoiding? Are they always avoiding them or just sometimes? These answers will help you think broadly about the problem. Is it as large as we think it is. Nutrition is a long term game. 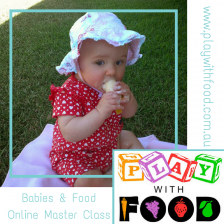 The main aim with foods at a young ages is to continue oral motor skill development and get exposures to variety and flavours. 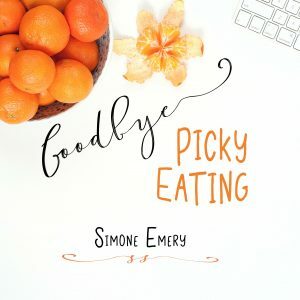 Please check out this post on how to continue solids past first tastes to understand more about the types of foods to approach and when. 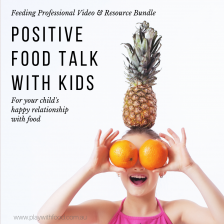 Despite the pain, we want kids to have positive learns about a range of foods that are expanding their range of accepted flavours and developing their oral motor skills. 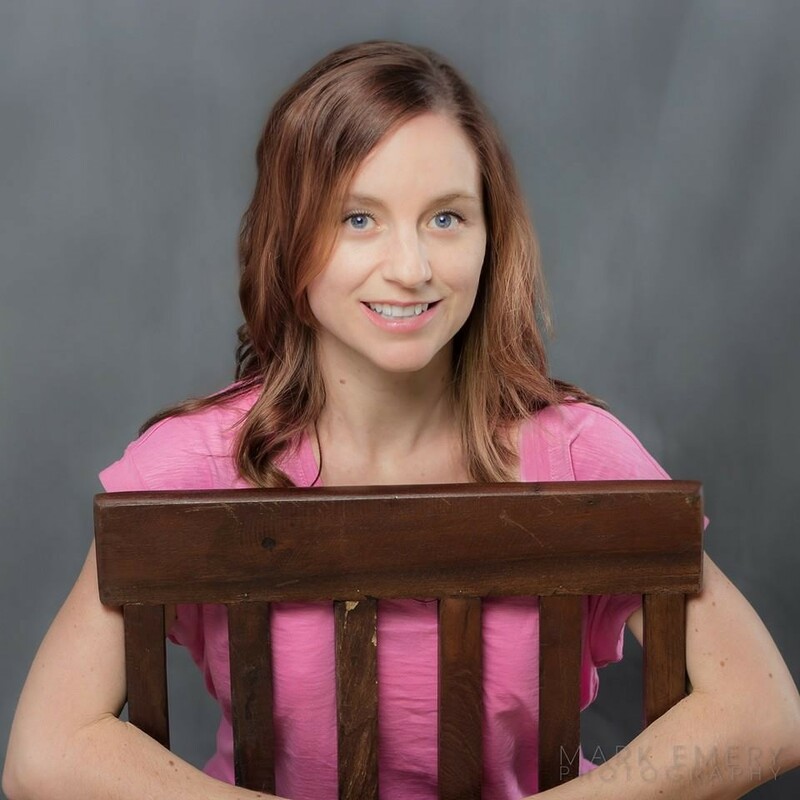 Unsurprisingly, when children are in pain expanding the use of their mouth and taking on more difficult oral motor tasks may go in their “too hard” basket. You can try to desensitize the area prior to meals by offering crushed ice chips to chomp on (for older teethers) in a high sided bowl with a spoon, a frozen stick of banana, a home-made ice block (for example see this recipe for pineapple ice blocks), or a sterilized and frozen wet washer (also known as wash cloth in the US or flannel in the UK). 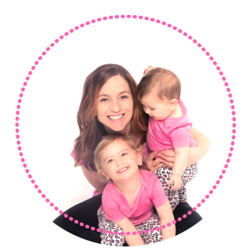 Hard munchables are great for teething children just before meals to try and activate their oral motor muscles & relieve their sore mouth – you must always supervise children with hard munchables like frozen banana, cool celery sticks or teething rusks. and remember that once they can bite chunks out of a hard munchable – it is no longer stage appropriate. Have damp washer on hand during the meal for them to have a “break”, clean their hands and even gnaw on for a little while. Provide the whole family with some “easy foods” along with the family food. For example, we could offer this white bean soup (with some fried chorizo for older family members) and some toast. OR for breakfast try yoghurt with “soft cube” fruits/vegetables (like mandarin, mango segments, poached pears or avocado). Or for lunch try a baked risotto with a side of some easy dissolvables like cruskits. These family meal ideas still provide different flavours, nutrients and are all appropriate for the whole family. 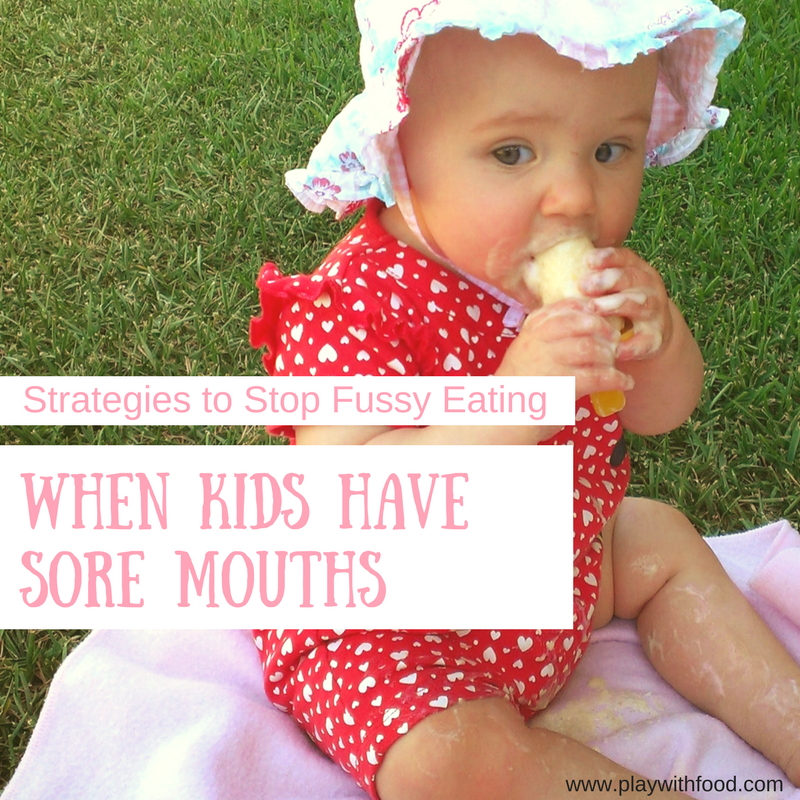 Allow them to clean themselves up, you may inadvertently negatively reinforce the positive act of trying to eat by wiping on their sore mouth or scraping on a sensitive mouth with a hard spoon. Even better, #embracemess and wait until the end of the meal and take them away from the table for clean-up at the sink or in the bathroom. Teething gels and pain relief should only be used for suspected mouth pain on advice by your doctor. Yet, they can assist a child to continue eating their usual repertoire of foods without the negative pain association. In the case of illness causing the sore mouth, consider the types of food on offer and make sure that variety and inclusion are at the front of mind. So, rather than short-order cooking a meal for the ill child, try to make sure everyone has some of “their food” along with the family foods. It is always important to include them and not make a barrier between what they can eat and what the others can eat. What was your experience for when children were teeting? Was it clear sailing or problematic? Did it set in motion defensive strategies or proactive strategies? 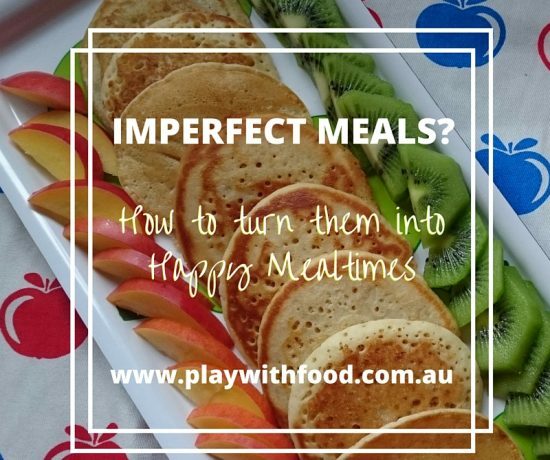 If you have an older fussy child and a younger child, this post on 11 tips to enable the balance at mealtimes will help you keep happy mealtimes happening (or get back there).